In order to quench the thirst of general public, "J.P.P. 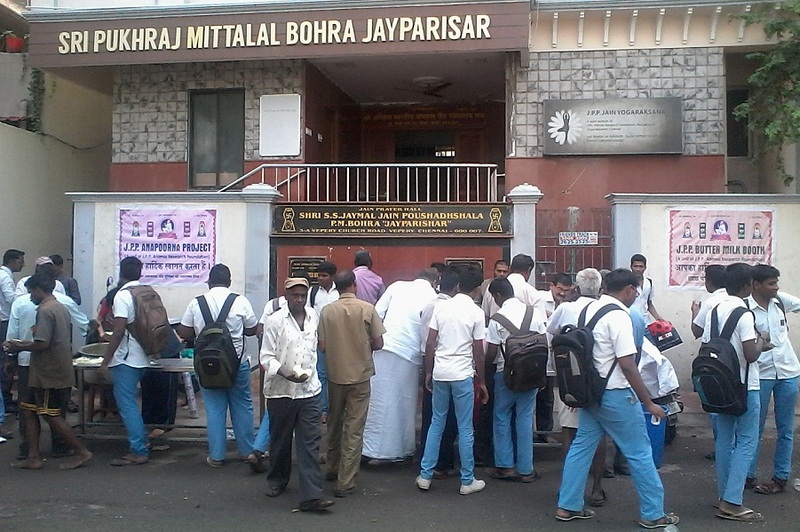 Jain Buttermilk Booth" was started in Feb 2014 at shree Jaymal jain poushadshala, Vepery, Chennai. 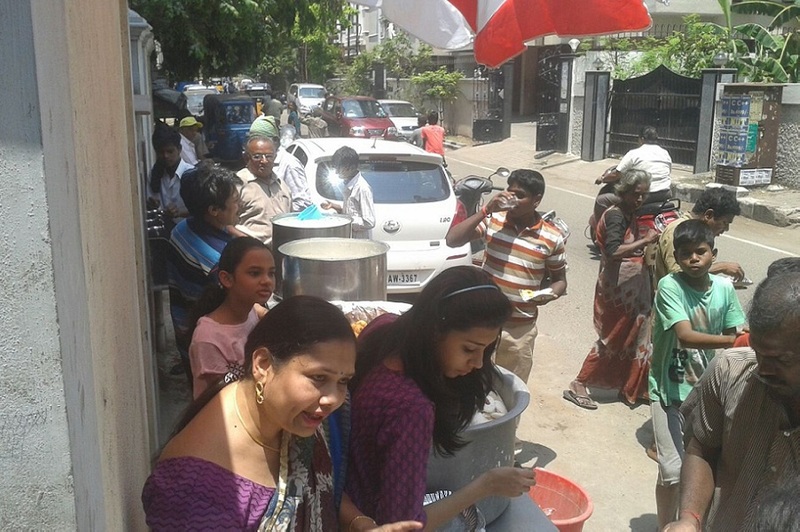 More than 1000 glasses of buttermilk is distributed free throughout the year between 11 am and 1 pm. Many near by school children, pedestrians passing through the road, auto drivers, watchmen and other persons are benefited. Any person can contribute Rs:31000/- per month or Rs:1000/- per day can be a part of this humanitarian project and gain punya.